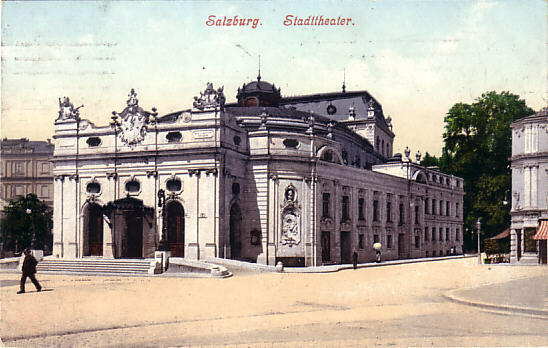 Built 1892-1893 as "Stadttheater" for the city of Salzburg by Ferdinand Fellner & Hermann Helmer. 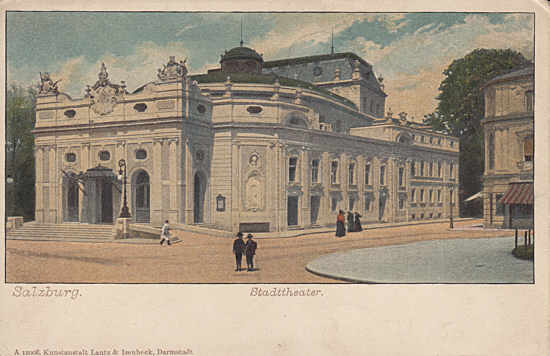 at the site of the old "Hoftheater" (destroyed for fire safety reasons in 1892). 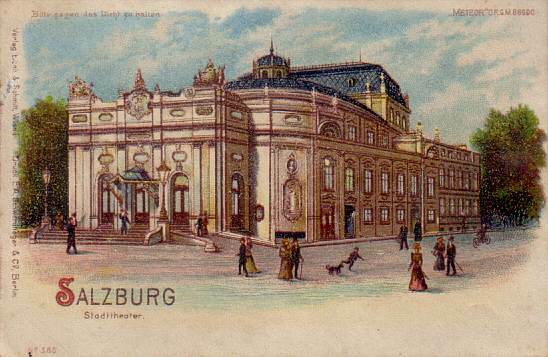 Opened 1 October 1893 with Mozart's ouverture to "La clemenza di Tito",a prologue by Josef Kollmann, and Ludwig Fulda's drama "Der Talisman". 1924 renovation. 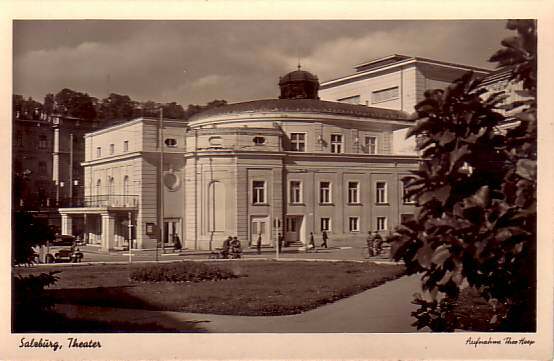 1938-1939 rebuilding by J: Holzinger and P. Geppert jr. Re-opened 7 August 1939 with Mozart's "Die Entführung aus dem Serail". 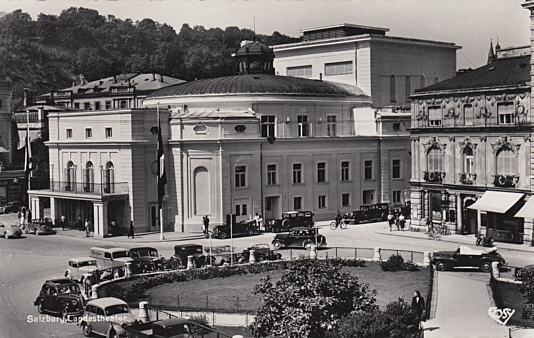 1940 renamed to "Landestheater". 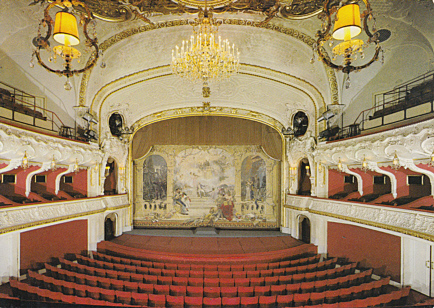 1977/1978 renovation. 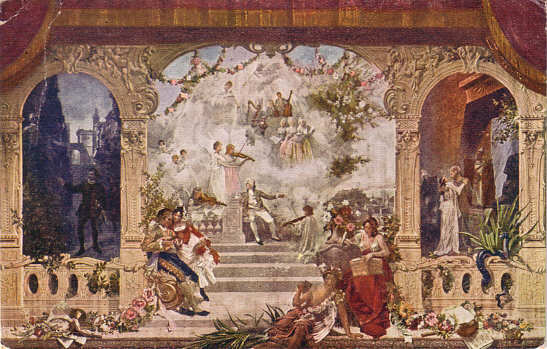 Currently used for plays, opera, operetta and opera performances by a resident ensemble. 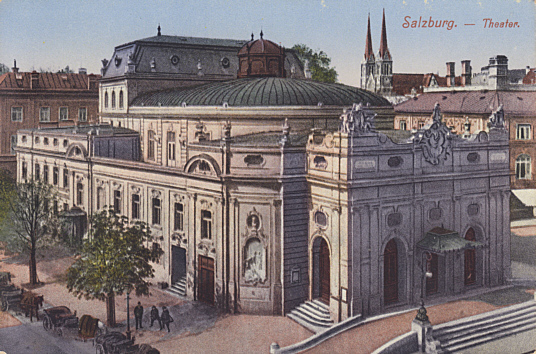 Also used for drama performances by the annual "Salzburger Festspiele" summer festival. 1000 seats. 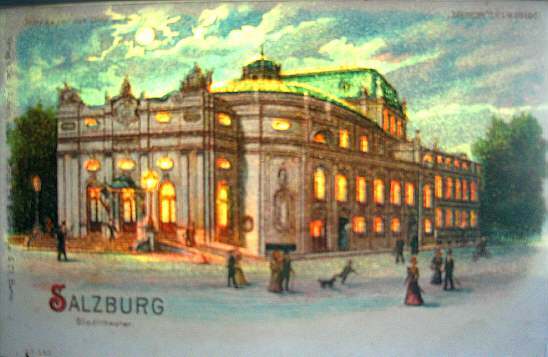 Front Text: "Salzburg, Stadttheater, Bitte gegen das Licht zu halten"
Front Text: "Salzburg. 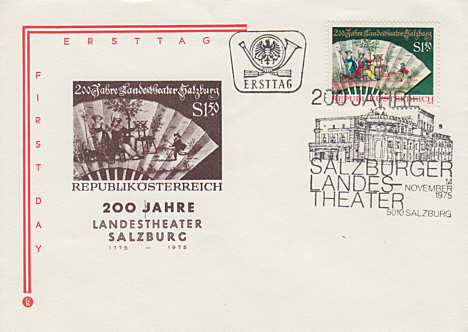 - Theater"
Front Text: "200 Jahre Landestheater Salzburg 1775-1975"
Postmark: "200 Jahre Salzburger Landestheater, 14. 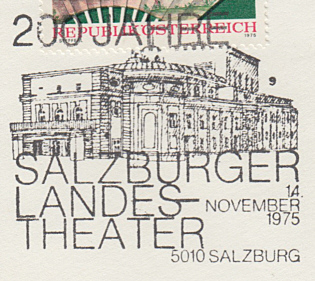 November 1975, 5010 Salzburg"